I was lucky enough to go down to Stuart FL to experience the newly redesigned GTI at the 2011 BRP Media Event. 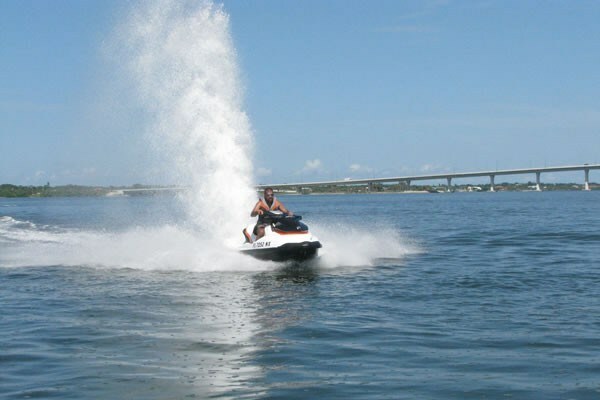 BRP is the company that invented the PWC in 1968, with the launch of the first Sea Doo product. They have dominated the market, selling the most PWC’s units each year. Being a company that produces such a vast line-up of craft, the GTI as of recent years has been somewhat overlooked. While other models became highly awarding winning most recently the GTX, thanks to it being the first PWC with a braking system. 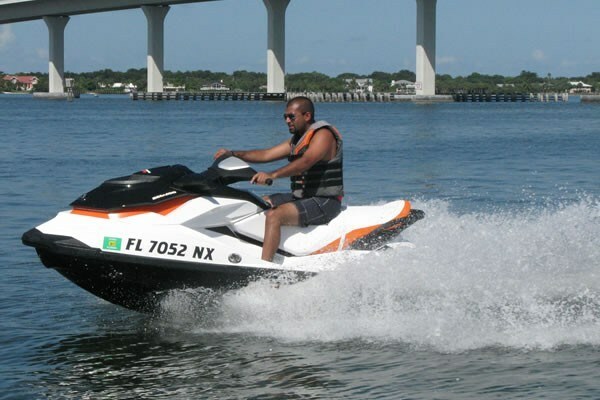 For an entry level machine the GTI has been losing market share to other manufacturers, and BRP wanted to make sure that this new GTI gave the Sea Doo brand a big boost in attraction for the entry level consumer like the GTX did for the high end ones. At first glance this new design boasts a sleeker more sporty style with the added benefit of a larger swim platform. When aboard this GTI the rider can appreciate the improved comfort from the ergonomic shaped seat suitable for three, and the curved foot wells that align the rider’s legs in a more natural pose. There is great visibility of gauges when sitting or standing, and the rider is now positioned lower to the water. 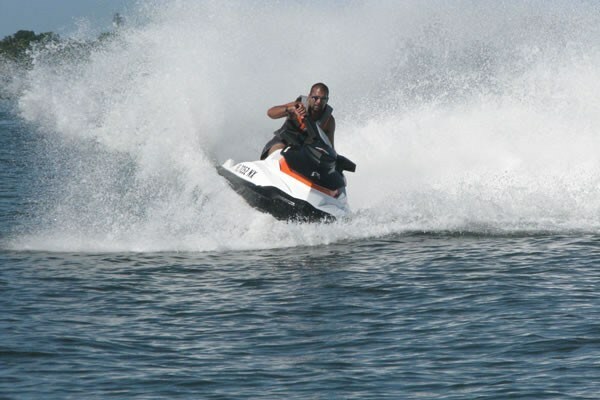 This allows for better handling due to a better center of gravity and gives a little extra thrill of moving on the water. You will definitely feel in control and safe of the GTI as it now includes the braking system previously only available on the flagship GTX. At any speed, the rider can pull the brake lever and the machine will slow down. The more you pull the faster it will slow down. Even moving at full throttle and applying maximum brake is forceful yet controlled with little bow drive. There is a clear advantage of having a PWC with a brake than without; proving especially useful in an emergency situation. The hull is 20 lbs lighter, remoulded to improve splash deflection, and is offered in a variety of trim colour combinations. From bottom up there’s a GTI 130 available in white, GTI SE 130 / 155 available in viper red or black & sunshine, and GTI Limited available in marina blue. All are powered by 1,494cc engine with different outputs that run on standard octane gas. The SE and Limited models have ECO mode that limits the machine’s acceleration curve and top end to achieve maximum fuel efficiency. This is a great way to spend more hours on the water without burning a hole in your wallet. Those who are looking for a dry ride will appreciate the fact even putting the machine into a full turn you won’t come out wet. The craft is predicable and carves up impressive controlled turns. I had a chance to experience all units. The 130 was surprisingly fun to drive considering its entry level engine. I’d personally go for the 155 but the 130 would be more than suitable for young riders, or those who just want to cruise around without quick acceleration. 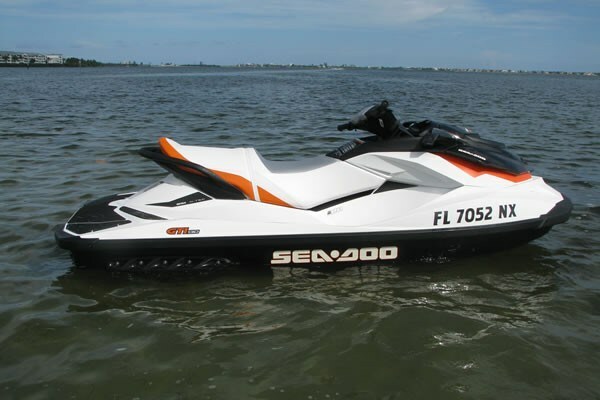 Sea Doo has definitely hit the nail on the head when it came to the new GTI, and it’s sure to give the entry level buyer a choice that will kick up some waves!